ANWR is released on Monday 2nd July and is priced at £23.23 each ... it is advertized as 180 gram audiophile vinyl with insert and embossed sleeve. OOTB is due for release on Monday 6th August and is advertized as 180g 2LP audiophile vinyl in gatefold sleeve with inserts. Music On Vinyl have confirmed that this release will be in matching, classic transparent Blue vinyl - but for the first 1,000 numbered copies only! 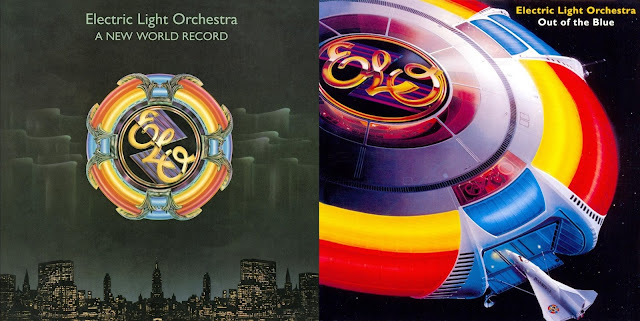 Both releases are a tempting yet worthwhile purchase for the record buying ELO connoisseur - even if you don't currently possess a turntable!